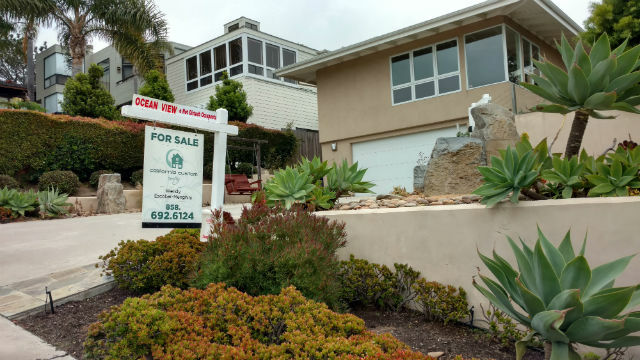 San Diego home prices continue their steady rise, increasing by 1 percent in April, according to the authoritative Case-Shiller report released Tuesday morning. Seattle recorded a 13.1 percent year-over-year price increase, followed by Las Vegas at 12.7 percent and San Francisco with a 10.9 percent increase. San Diego home prices were 7.8 percent higher over the past year. The 1 percent rise in April followed an increase of the same size in March. “One factor pushing prices up is the continued low supply of homes for sale,” Blitzer said, noting that there is little more than four months supply of homes the current sales rate. Ruben Gonzalez, chief economist at the real estate firm Keller Williams, predicted continued price increases as home sales rise during the summer months.